Short on time? Let mdf-boards sellers contact you. We supply 25mm, 26mm Plain Particle Boards for filling inside the doors. 2440x1220x26mm plain particle board shall weigh about 40kgs. 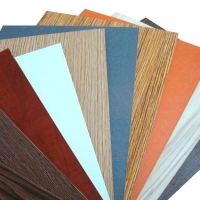 We do particle board starting 9mm to 40mm and above for various purposes like lamination grade fully sanded on both faces, for routing purpose, furniture backing etc. 26mm(non sanded) :520Kg/m3 - E2 Grade 30 to 64mm- E1, High Moisture Resistance, Both Sides sanded 26mm(non sanded) :520Kg/m3 - E2 Grade 30 to 64mm- E1, High Moisture Resistance, Both Sides sanded, suitable for Fire door -tested to BS standard We can also adjust the density of board as per our customer requirement. 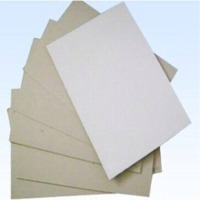 Our plain particle boards are priced competitive. Please contact us for more details. 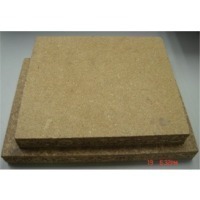 2 - 6 mm MDF board/panel, made of farmed eculptues wood residuaries, non-toxic additives and chemical glues. Per export standard. 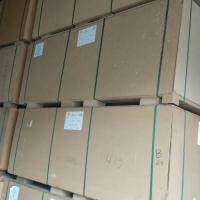 Medium Density Fibreboard(MDF) Thickness: 2. 5mm~25mm Glue: MR E1, E2 Density: 720-780Kg/m3 Specification: 4'x8"(1220x2440) Meterial: poplar, hard wood, pine. Inside: Pallets covered with a plastic bag Outside: Pallets wrapped with veneer and fastened by PVC / steel tape. Shanghai Snswood International Trading Co., Ltd.
Shouguang Oulong Encomic And Trade Co., Ltd.